Through the same search, I found articles claiming to know the answer to this question, too. But they either give vague answers (“8 times your salary”) with nothing to really back that figure up, or they give specific amounts (“$1 Million per person”), again without much information to really back up the numbers. What if they are just guessing, and it doesn’t work out? The news is rife with stories about people who retired super-early, in their 30s and 40s. How much money did they have for retirement? They didn’t win the lottery — how did they save up so much, so fast? 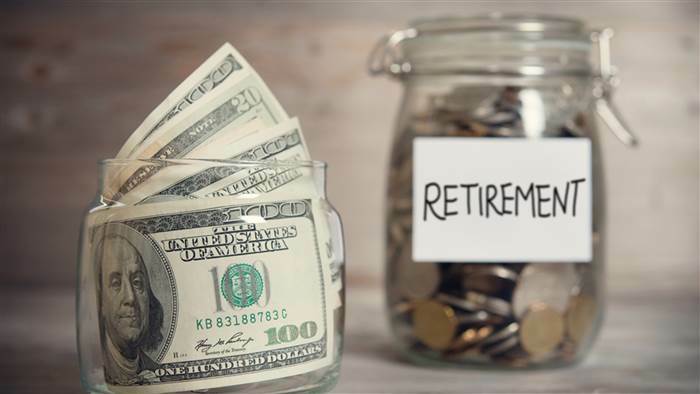 So how much money do you really need to save for retirement? You cannot possibly know how much you need to save if you don’t know how much you are currently spending. You can find an app for your phone, make a spreadsheet on your computer, or go old-school and grab a notebook. I keep track of date, dollar amount, store, and a brief description of items purchased. A few months of tracking should give you a good idea of how much you regularly spend. The more detailed your data is, the better you can analyze it later. The first time I started tracking spending was November a few years ago. It escaped my observation that I was hosting four extra people for Thanksgiving, plus we have two birthdays that month. I was really surprised at how much we spent, and the next month had eight more people over for an extended Christmas, plus presents, etc. Start tracking spending in a more normal month, like March or April, for a more accurate account of how much you spend routinely. Keep track for at least a year so you get a well rounded picture. Now that you know how much is leaving your pockets every month, review your numbers to make sure that is really where you want your money to go. Did you know you spent that much on gas or food? Do you really want to be spending that much on entertainment or clothing? Tweaking your spending now can have a big impact down the line. Make a budget, and stick to it. The first few months are the hardest, as you are setting a routine. On the other hand, if there is a line in the budget that just doesn’t work, change it. This is your budget, your money, and your retirement. We still haven’t really answered this question. Let’s look to William Bengen and see what he has to say. Personal finance bloggers across the whole internet love to talk about the 4% rule. Four percent is a small number. What does it really mean? In 1994, William Bengen released his findings from a study he performed. He looked at the past 75 years of stock market returns along with numerous retirement scenarios and concluded that if you draw no more than 4% of your retirement savings the first year of retirement and adjust for inflation for subsequent withdrawals, your money will most likely outlast you. In other words, you won’t run out of money if you only take out ~4% each year. This idea was studied again in 1998 by the Trinity Group with similar conclusions. This was a groundbreaking study, taking into account the lowest of the low times for the stock market and looking not only at the average of the market itself, but also into each individual year. The average has to account for three major financial downturns. The highest highs get swallowed up by those incredible lows in the average, but individual years show some tremendous returns. Bengen ran copious scenarios, and in 96% of the cases, the money did not run out before the end of his 30-year time period. In many cases, depending on the stock/bond ratio, the money continued to pile up, so that at the end of those 30 years, there was significantly more than at the beginning. He also ran the scenarios at several different disbursement rates from 3% to 6%. Withdrawals of up to 3.5% have a 100% success rate, while withdrawing 6% has a less than 40% chance of success. The sweet spot for retirement account allocation is between 50-75% stocks, with the remainder in bonds. The closer you are to the 75% stock allocation, the closer you get to the perfect balance of asset longevity and maximizing the accumulation of wealth to pass on to your heirs. A portfolio consisting of less than 50% stocks or a portfolio more than 75% stocks is “counterproductive” according to Bengen. 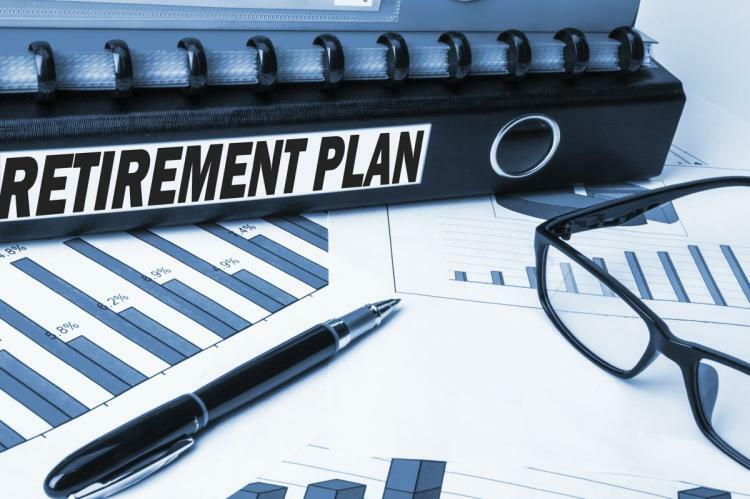 His study does not account for any additional income after retirement, so if you have a healthy pension, social security or even modest rental income, you could be fine with lower withdrawals or even a smaller initial nest egg. So to see how much I need to save for retirement, I take my $40,000 and multiply it by 25 to come up with $1 Million. My initial $40,000 is heavily padded — tracking our spending showed we need about $24,000 a year. My husband grew up without a lot of money and is leery of leaving the workforce without a significant cushion. He also doesn’t want to work longer than he needs to and leave this earth with millions unspent. Bergen’s 4% rule doesn’t address your own feelings about money. I truly believe your early experiences with money shape your relationship with it. There are basically two ways to grow up: with or without money. There are also two basic ways to treat money: save it or spend it. Some people who grow up without money save like crazy because they know what can happen without a cushion. Some who grow up without money spend like crazy to try and compensate for what they missed out on as a child. I have a friend named Eric who grew up with no money. He distinctly remembers having a Coleman cooler in place of a refrigerator. Fast forward to adult life: he is mid-50s and makes six figures. His expenses are around $25,000/year. In addition to his full time job, he owns 24 rental units. They are all in the same complex, and he purchased many of them at steep discounts when the complex was a disaster. He has put a lot of time and sweat equity into the property to turn it from a D class complex to a B+ class complex. He took over the HOA and started enforcing rules that had been ignored for years. This complex owes a lot to him. He collects $25,000 a month from his rentals. His expenses are $10,000. He is sitting really pretty. And yet he continues to go to his 9-5 job every day. He takes care of almost all repairs at his properties himself; he manages all his units by himself. His early childhood and going without makes it difficult for him to pull the trigger and retire. On the other side of that coin, my friend Brandon retired at age 27. He grew up solid middle class. He had been aggressively picking up rental properties and finally had enough passive income to replace his active income, so he left the workforce. He had about $5,000 saved up, in addition to his rental units that were cash-flowing about $3,500 a month, so not a huge nest egg to fall back on should this whole rental thing not follow the plan. I think part of Brandon’s thinking was, “Hey, I’m young. If this doesn’t work out, I’ll go get a job again.” It’s a lot easier to get a job when you are 27, than when you are 57, no matter what anyone tells you. I grew up more like Brandon than Eric. Money has never been an issue for me; if I needed more, I just worked more hours or got an additional job. I waited tables in my early 20s while in school, and that really gave me all I needed to live. But waiting tables is physical work, and I don’t want to do that anymore. 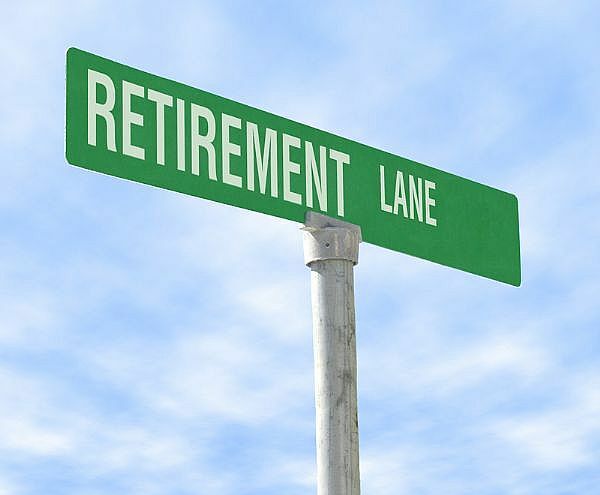 My retirement strategy is diversification across a variety of assets, including the stock market and real estate. I invest in the stock market, mostly through low-fee index funds. With the 4% rule, I know exactly how much I need to invest in the stock market to retire. However, real estate also factors strongly into my plans. I am currently negotiating the purchase of a four-plex. No matter what the stock market does, people always need a place to live and rental properties will provide me with consistent cash flow. Remember that retirement all comes down to a few simple numbers. The first number you need to be concerned with is your annual budget. Keep careful track of your spending to determine how much you need to live every year. If your investments are in the stock markets, multiply your annual spending by 25 to get your retirement magic number. Once you’ve hit that figure, you have permission to sail into the sunset. If your investments are in real estate, you’ll need enough rental income to fund your life. There are a lot of emotions around money. How you grew up and what your parents taught you (or didn’t) has probably molded your adult money habits. Perhaps you have money security issues and will choose to work for an extra decade to be absolutely sure you’ll never run out of money. Or maybe you’re more like Brandon and will take the plunge in your 20s with minimal savings. No matter what your background is and what you decide to do once you’ve reached your number, just being able to retire is a very powerful force. While you may love your job, you never know when the story of your life will unexpectedly change. A family member could get sick, you could wake up one morning and decide you’d like to live abroad or your job may end without your permission. Having enough money to retire will give you peace of mind and the means to ride out almost anything life has to throw at you. So, how much do you need to retire? Have you figured out your retirement numbers yet? Did you use different calculations?